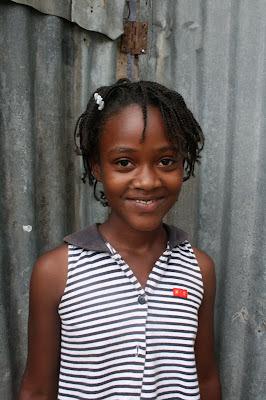 Mardochee is a 12-year-old Haitian girl. She was born with retinitis pigmentosa, or RP, a degenerative eye disease, which means little by little she is going blind...unless a cure can be found. That is my hope. Even though Mardochee is legally blind, she still has some good vision. During the day she sees well enough to walk around without bumping into things or falling. She can recognize people, even in photos usually. At night, she is nearly blind and needs someone to guide her. Even though she also has rapid involuntary eye movement called Nystagmus, she is able to read and write if the letters are large and bold. 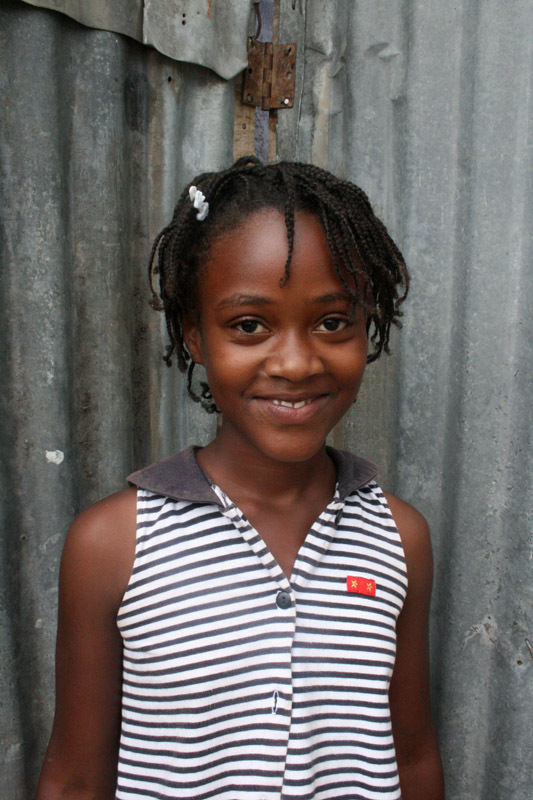 I first met Mardochee in July 2007 when my Haitian fiance Andre and I traveled from Santo Domingo to Port-au-Prince to meet his family. Although she was born in a remote mountain area above the capitol, Mardochee has lived most of her life with relatives in the city. At the time we met she was 8 years old, wearing glasses, and attending school. Each year, Andre and I went back to Haiti to visit his family and explore the most beautiful parts of his native country, including Ile-a-Vache, Port Salut, Les Cayes, Kenscoff, Jacmel, Cap Haitien, Labadee, and the Citadel. I've hiked up to Duval several times too, even though Andre originally told me I wouldn't be able to since it's so remote. Then on Jan. 12, 2010, a 7.0 earthquake struck near Port-au-Prince, Haiti, killing 250,000 people, possibly more. After 3 days without communication we were relieved to find out that no one in Andre's immediate and extended family had perished. 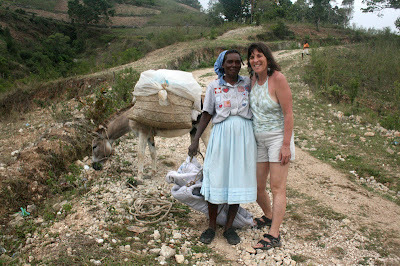 Since that event, I went back to Haiti four more times, bringing down tents, clothing, medical supplies, 100 wind-up flashlights, etc. 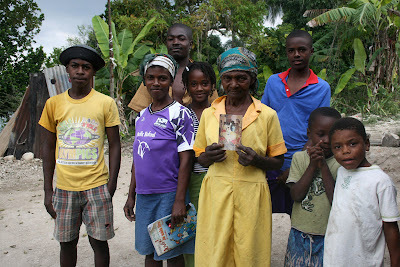 to try to help orphan girls at OJFA (Organization of Young Girls in Action), in a Petionville refugee camp, and up in Duval. 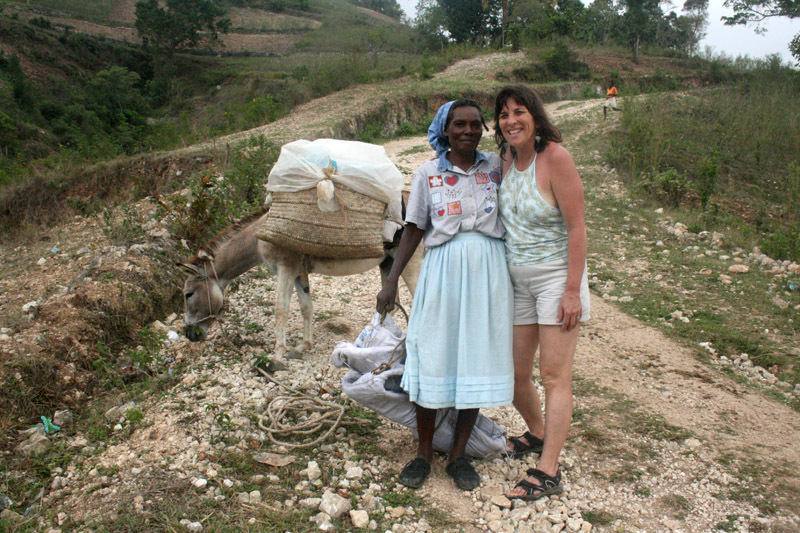 I'd seen Mardochee on every trip to Haiti, but it wasn't until Dec. 2010, on a rough, 5-hour hike to Duval and back, that I really noticed her. 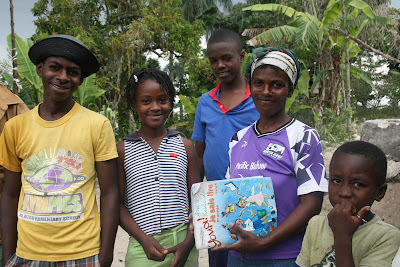 I'd invited my American friend Yvette (a one-person NGO) and my brother-in-law Lesly as guide, to hand out 25 "Make a Friend in Haiti" envelopes with cards and cash, a random act of kindness from friends of mine in Santa Cruz. 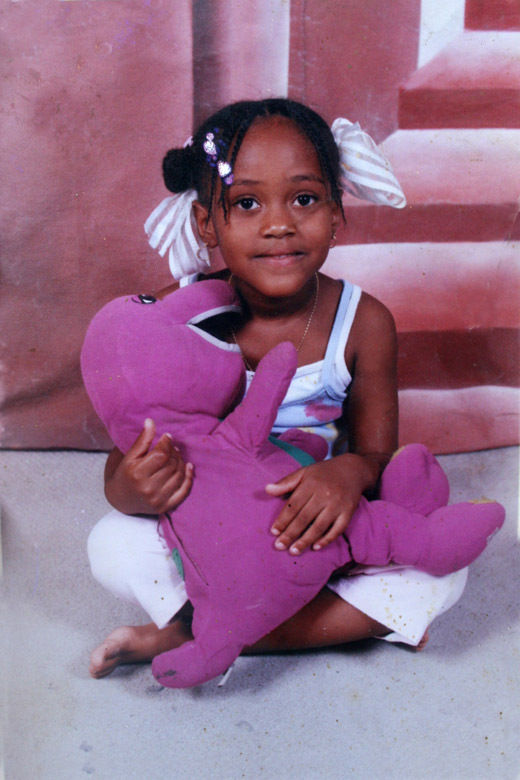 When Mardochee heard of our plans, she invited herself so she could visit her family and friends in Duval. Sure enough, the next morning bright and early, she was ready to go, in her best red dress and little white sandals. 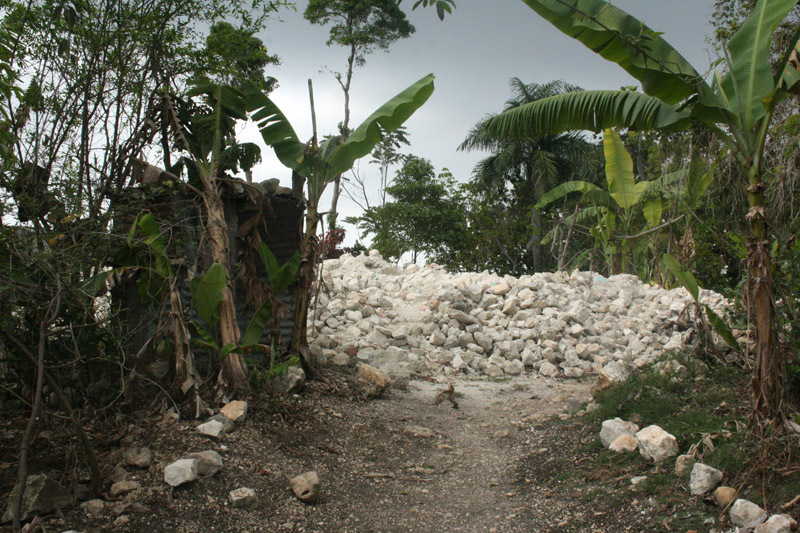 Despite the physical challenge of this whole day undertaking, she never once complained, even as she stumbled along the rocky path in the dark on the way back down to Port-au-Prince. With her brother Ricardo accompanying us back to the city, I got to see another side of Mardochee as the two of them chattered and laughed the whole way. Lesly, Yvette and I put our heads together and decided that I should try to get Mardochee to the US. Thanks to the internet, I found a wonderful Christian charity called Angel Missions who has succeeded in obtaining medical visas for dozens of Haitian children. They mainly coordinate health care for children with life-threatening medical conditions. I'm forever grateful to Angel Mission's entire staff for helping us bring Mardochee to the U.S. for treatment. And thankful to doctors Fishman, Farberow, and Larsh for donating their services.